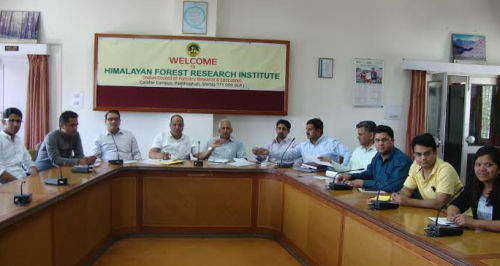 Shimla: Him Science Congress Association celebrated its second foundation day at the Himalayan Forest Research Institute, Conifer Campus, Panthaghati, Shimla. About fifteen executive members of association were present on the occasion. 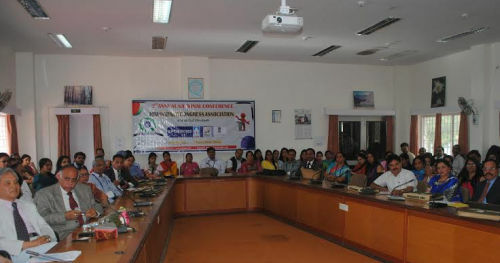 Him Science Congress Association reveals organising its second annual National Conference on Emerging Scenario & Future Challenges – II on 17th & 18th May 2014 at Shimla. Association revealed that in this conference about 250 research papers on different field of Sciences will be presented by Eminent Academicians, Professors and Scientist of India and abroad. The Papers Presenters will be from South Korea, IIT Delhi & Roorke, BHU, Delhi University, Punjab University and North- East etc. Dr. Mahender Thakur, Joint Secretary of association said that association will organise an international Conference at Dharamshala in 2015 and various Science activates will be started at School and Society level. The main objectives of these activates is to aware students and communities regarding Environmental & Biodiversity conservations and also aware the masses especially students and farmers about use of different Technologies in the field of Agriculture, Horticulture, Health and Education. In the meeting the association has decided to launch Research Journal on different stream of sciences so that the people of state can be aware about Emerging Scenario & Future Challenges of Science. During this following member were present Dr. Deepak Pathania, Dr. Sita Ram, Dr. Jyoti Dhar Sharma, Dr. Pawan Rana, Dr. Kamal Dev, Dr. Susheel Kalia, Dr. Mahender Thakur, Dr. Amit Kumar, Mr. V.P. Singh and Dr. Atul Pandey etc.